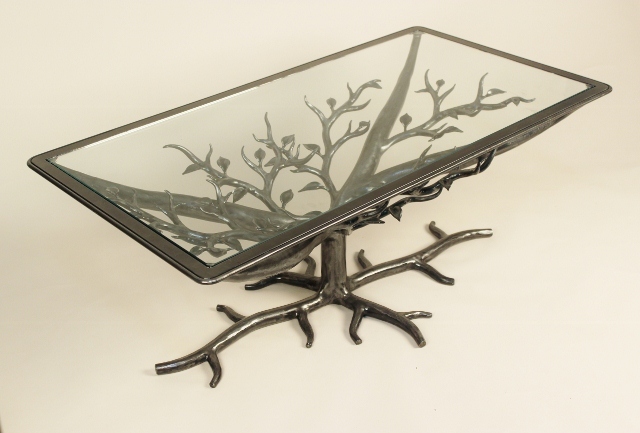 My work is forged iron furniture, home accessories and sculpture. My designs are organic in form which contrast with the inorganic material used to build them. Starting with steel bar stock and steel plate, I heat and reshape the elements to represent forms found in nature. Traditional blacksmithing techniques and high tech equipment are combined to produce unique sculptural furniture and accessories that are one-of-a kind.